The House Speaker spoke to reporters today (Thursday) for only about 21 minutes, but there were plenty of strange moments as she botched words, suffered face spasms and brain freezes as she attacked President Trump’s proposed border wall and his leadership during the recent partial government shutdown. Back on October 11, 2017, Stat News reported that pills prescribed for Alzheimer’s Disease were being delivered to Congress by a local Washington Pharmacy. Look, we have all been wondering why Speaker of the House Nancy Pelosi is under the illusion that she is the co-equal of the President o the United States, Donald J. Trump, when the Constitution and our Constitutional Republic form of government clearly state otherwise. Perhaps she is not the clear thinking Machiavellian genius which all of the Democratic Hierarchy attempt to present her as. Apparently Dementia-riddled “San Fran Nan” Pelosi has been salivating for two years over the opportunity to be Speaker of the House again. They seem to actually believe the Democrat-heavy push polls which falsely show that average Americans oppose a Border Wall. Their arrogance does not allow them to believe otherwise. They do not seem to comprehend that it was their overestimation of the popularity of their Far Left political ideology which cost them the 2016 Presidential Election in the first place. Their anti-American policies and blatant political corruption, administrated with joyful glee for 8 long years by Barack Hussein Obama did nothing for Democrats except lose them the presidency by producing a visceral hatred of them by those Americans whom they continue to insult on a daily basis. The Democrats have not been the party of the “working man” for decades. In fact, since the Far Left have taken over the party, they have become nothing but a conglomeration of special interest groups, drawn together by their desire to “radically change” America into a nation governed by adherents to the failed theories of Karl Marx. The Democratic Party has done nothing since November of 2016 to attempt to calm down their minions such as the black-robed cowards of Antifa, no matter how their individual candidates promised to “get along” with Republicans during the Midterm Campaign. Only a couple of them had the spine to condemn the actions of these New Bolsheviks, who protested outside of Tucker Carlson’s house a few months back, scaring his wife and almost busting down his front door. What the Democrats need to remember is that for every action there is an equal and opposite reaction, as we are seeing with their passing of bills into law allowing for abortions up until birth. In the case of their planned investigations against President Trump, they need to remember that they live in a humongous glass house. Between the leaking of congressional secrets through the Congressional IT Scandal involving Debbie Wasserman Schultz, the Hillary Clinton Private Server Usage and Clinton Foundation Pay-For-Play Scandals, and the whole sordid FBI /DOJ/FISA Warrant Deep State Spying Scandal, the President has multiple opportunities to have the Senate and the temporary Attorney General bring investigations of his own. Losing the presidency in 2016 did not smarten up the Democrats at all. If they go ahead with their Open Borders and Day of Birth Abortion policies and their fool-hardy plans to spend the next two years “investigating” Donald Trump, Nancy, Chuck, and the rest of the “useful idiots”are very likely setting themselves up to go the way of the Whigs. …And, it couldn’t happen to a “nicer” bunch. 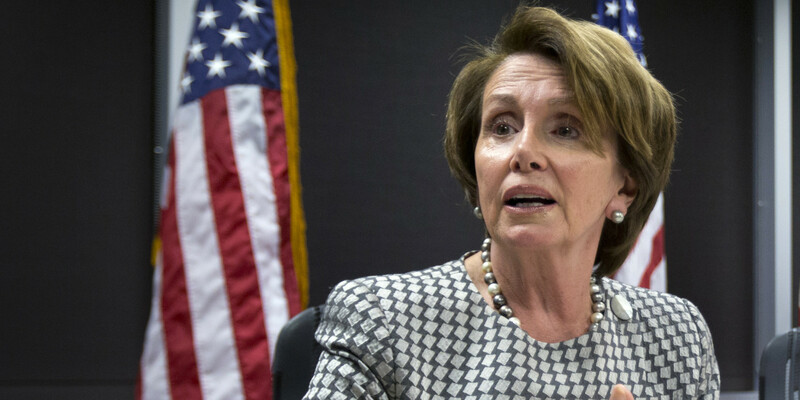 The Democratic Majority in the House’s only hope of increasing their popularity is to make Nancy Pelosi abdicate her House Speakership and put in her place someone who will actually work with President Trump as Former Speaker Newt Gingrich worked with Former President Bill Clinton. It is a VERY SERIOUS ISSUE. Next article Why Are the Democrats So Afraid of Howard Schultz?